It’s great to be a creative person who spends a lot of time decorating the garden place. 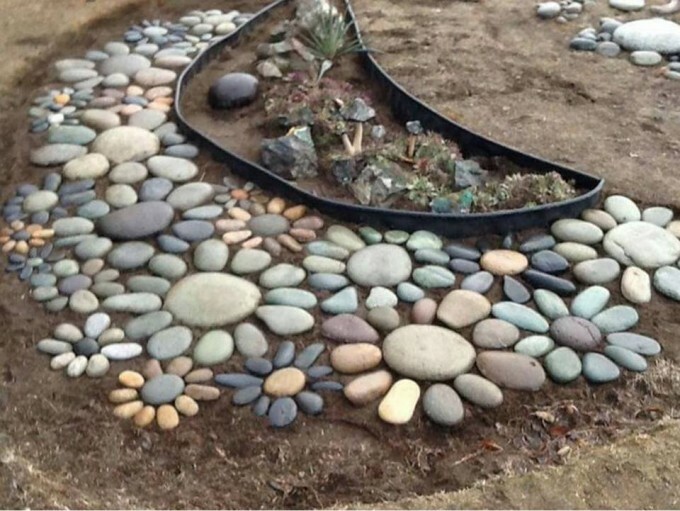 In this post, you can see interesting DIY ideas on creating a rocks garden. So, don’t waste your time, check the photos and start with doing these amazing crafts! Also, read about Gabion rocks decoration for an outdoor place. 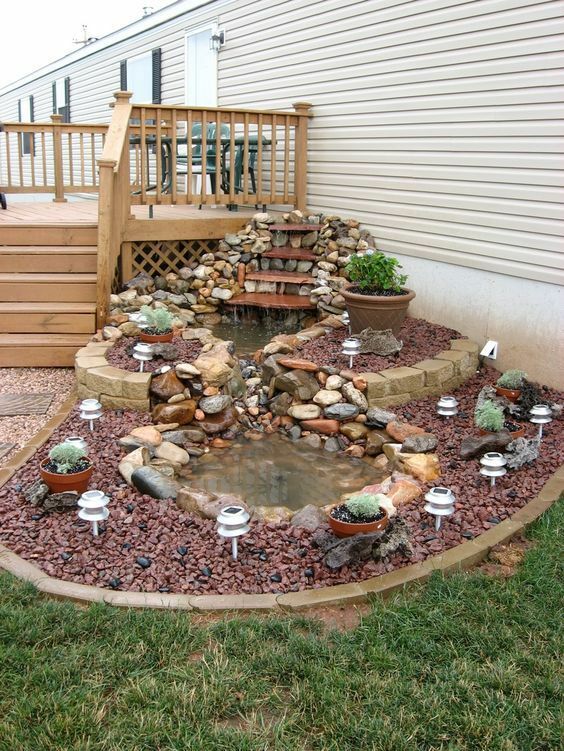 Every yard and garden needs water features that will make some refreshment to the outdoor place. You can make this decoration by your own hands an the material that you will need are large and small river rocks. Make the best outdoor flooring by using rocks. Create lovely flowers of rocks that will beautify the outdoor flooring and find inspiration in this photo below. 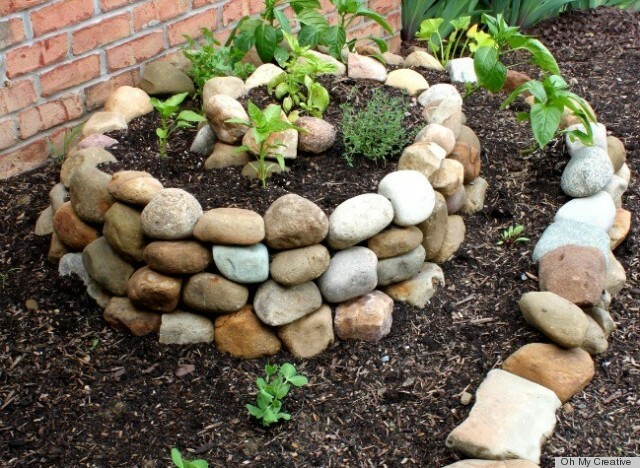 Create herbs garden just by using rocks in your outdoor place. Check the link below this photo and read about the full instructions about how to make a garden like this and to maintain it. People love improvisation of water features in outdoor place, probably because they don’t like to have obligation about changing the water. 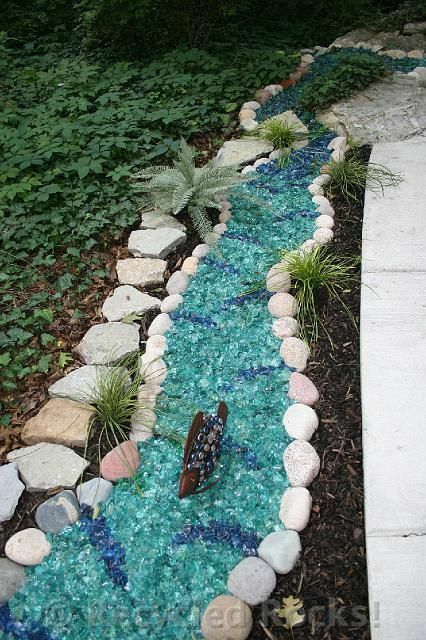 And also, if you make a river just by using blue glass rocks you can keep the design during the cold winter days. 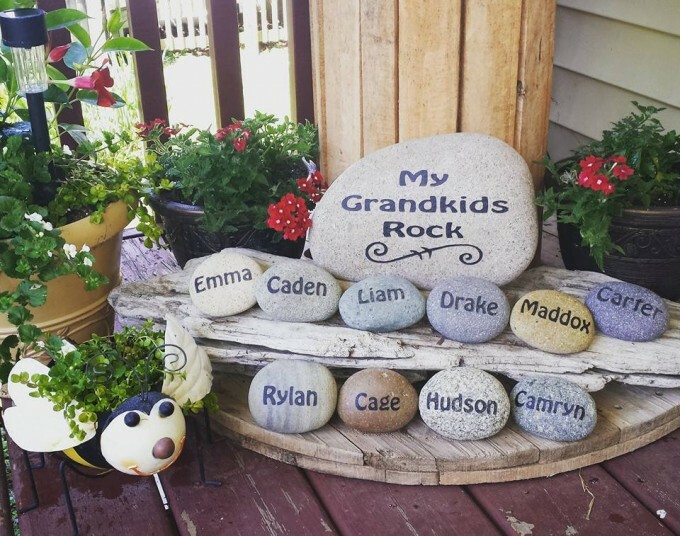 An excellent idea for grandparents who have a lot of nephews. Write the name of the nephews on the large rocks and bring the joyful in an outdoor place. Get inspiration from this photo. You don’t have to buy expensive flower pots when you can make it by yourself amazing decor like this. 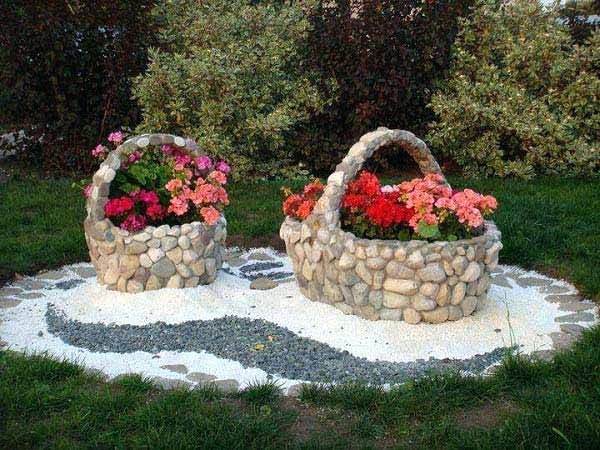 You can also create a landscaping with rocks and to add these two rocks flower pots and to make the best outdoor decoration. 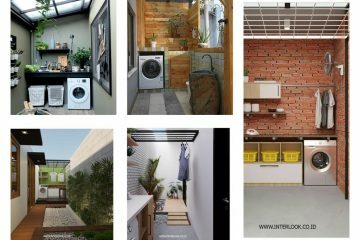 Find motivation in the photo below and if you have a little time share it with friends and people who love to do it yourself ideas. 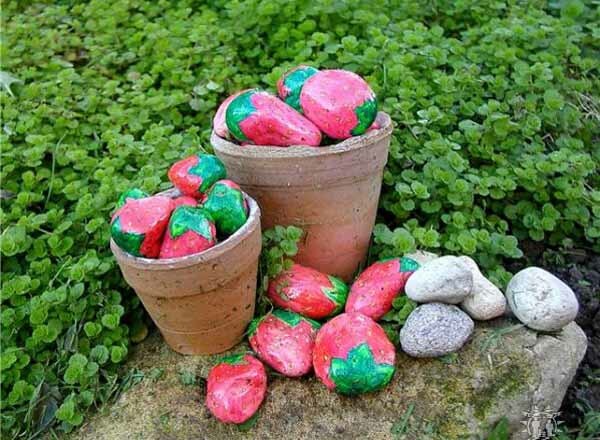 Include your children in garden decorating, use spray paint and make animal shapes of different size of rocks. 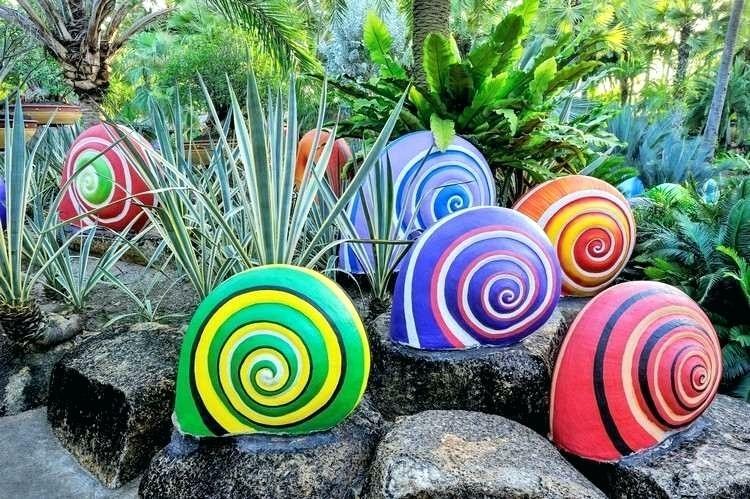 Make snails like these in the photo, make frogs and many other things you can make juts by using rocks. 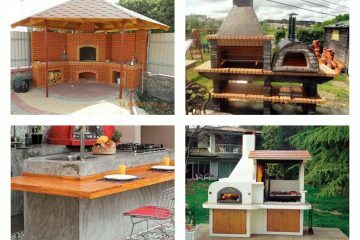 If you don’t have enough place in the garden for planting and growing strawberries, here is time to think about some other creative ideas. For example, you can make strawberries of rocks and paint colours and create a lovely design like this in the photo. This is the last photo of this post and now I want to thank you for your attention and to wish you a good START of the week! Keep following us!